If you live in Sugar Land, Texas, you’re familiar with the city’s hot, humid summers and mild winters. While you might curse the sun in the middle of August, did you know that your local climate can help you take advantage of geothermal energy? Geothermal energy and appliances have transformed HVAC systems and the people who use them in Sugar Land, Texas. Our Sugar Land customers might be faced with high energy bills for much of the year because of heating and cooling needs. Commercial and residential customers know especially that come summer, if they are not careful, between the heat and the humidity, energy bills can soar. Geothermal energy offers a far more energy-efficient solution than your standard heat pump. 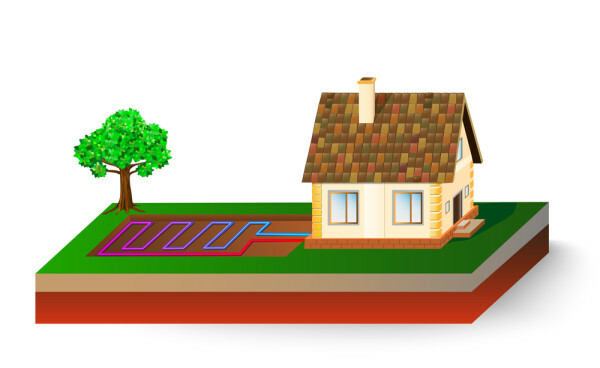 Geothermal HVAC systems use an “earth loop” to extract heat from the earth and use it to power your HVAC system. It works by moving heat from one place to another (either inside to outside or vice versa) so your home stays comfortable no matter the weather. More importantly, it uses far less electricity, which means reduced energy bills. Consumers might shy away from these systems because of the installation costs. However, modern technology, research, and development have improved installation practices to reduce up-front expenses. While a geothermal heat pump might represent a significant investment, you continue to save money for years after installation. You will see increased savings in your energy bills that will make the switch worthwhile. An increasing number of Sugar Land residents are devoting their lives to green practices. They focus on using less energy and on creating less waste and pollution. Geothermal energy can help you to meet all three goals. In particular, it doesn’t produce pollution, which means you are contributing to a healthier environment for your community. You have many options for heating and cooling. Let us help you to choose the best HVAC system for your home. Call Conditioned Air at 281-201-0356 today, to schedule a consultation.